ThermiPaq Moist Heat Pain Relief Neck Wrap, Heating Pad Moist Heat Therapy for Neck Pain, Neck Wrap for Pain, Carex, TPF59000. 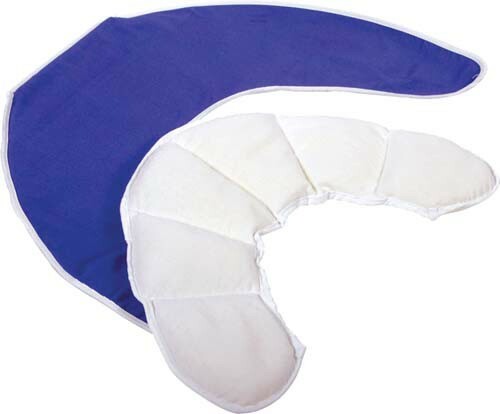 ThermiPaq Moist Heat Pain Relief Neck Wraps, manufactured by Carex, are moist heat pain relief wraps that use ceramic beads that absorb hot temperatures, then slowly emits heat therapy over a protracted amount of time. 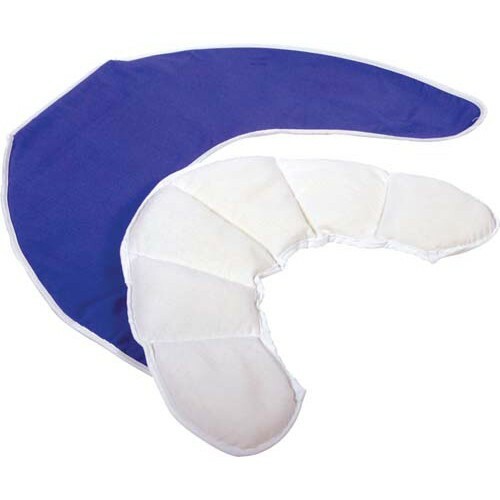 You may select this heating pad wrap to effectively provide pain relief from sore muscles, spasms, aches and other neck pains. This revolutionary "Theramics" compound employs radiant energy to establish a deep penetrating, therapeutic system for hot applications. ThermiPaq's radiant energy provides distinct advantages by transmitting heat therapy slowly and uniformly to your affected pain area. ThermiPaq Moist Heat Pain Relief Neck Wraps generate its own moisture by using proprietary technology. The ceramic beads are designed to absorb moisture from the air and then release it into the cloth pad when heated in the microwave. This natural hydration process creates a clean, comfort moist heat without the inconvenience of wetting or soaking the pad. After cooling down, the pad quick rejuvenates moisture and is ready for additional uses when needed. In addition to the natural hydration process, ThermiPaq Moist Heat Pain Relief Neck Wraps feature a soft fleece sleeve and Velcro strap that ensures a snug and secure fit. ThermiPaq, additionally, is safe and simple to use. For moist heat therapy, simply deposit the pad into a microwave and quickly heat. Ceramic beads that provide moist heat therapy. Molds to the contours of your body. Soft fleece cover with Velcro® straps to secure position. Application: To effectively manage and treat pain with moist heat therapy.